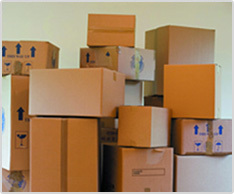 We understand that moving can be a very stressful time, and to make it easier we offer packing and unpacking services. We can pack all of your belongings in an efficient, safe manor, relieving you of the stress and ensuring that your items are packed in the safest way and are delivered the destination without damage. If you decide you would like to pack yourself we will give you advice and guidelines on how to pack correctly and safely. We offer both long and short term container storage in our storage facility based in Hillingdon. Our rates are very competitive. Please get in touch for more information. If you are moving your belongings abroad we offer an export packing and international shipping service. We have proven international removals record, meaning you can feel safe when and happy when moving abroad using us. For a FREE quote call us now on 020 8866 8225.